Where in the world can you find ultrafiltration technology applied to industrial effluent resulting from paper and pulp production? At Celtejo, that’s where. Committed as it is to ecoefficiency, the Altri Group company is currently developing a plan which will enable the factory unit to evolve into a new industrial model of a more sustainable circular economy. This is a real concern, and Celtejo is making investments in seeing through its environmental commitment to ensure the sustainability of the environment, without compromising the quality of its paper pulp or the efficiency of its production processes. Good examples of this are the implementation of the new Recovery Boiler, the new Demineralisation apparatus and, above all, a new Industrial Waste Water Treatment Plant (IWWTP). The idea behind these investments is to be able to recover effluent and reuse it in the production process. This raises the bar, since it pushes the boundaries of current technology to adapt it to the characteristics of the effluent to be treated and of the specifications of the processing water. Reusing the permeate (treated effluent) in this way is just around the corner and will become a reality this year, but good industrial practice requires us to start with lower re-use rates of 15% to 20%, analyse the impact on the process, make the necessary adjustments, and only then set more ambitious targets. 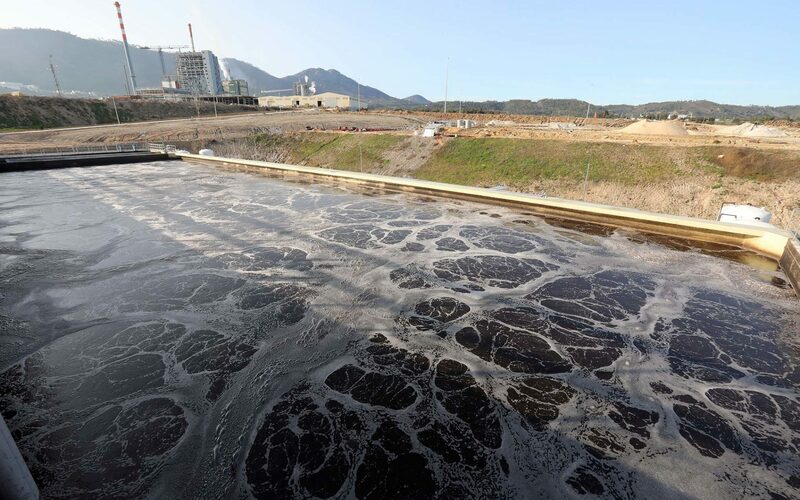 In an effort to achieve this aim, several major companies within the water and effluent treatment sector rose to the challenge set by Celtejo, and, as such, started studying alternative technologies in pilot plants assembled at the factory in Vila Velha de Ródão. It must be noted that the current plant already produces permeate effluent, whose parameters fall within those of the best worldwide practices for this business sector. This is confirmed by operational research performed by researchers all around the world in similar factories and by specialist companies in databases on the production of paper pulp. It is this permeate, once treated, which has to go through additional treatment phases to reduce its colour and extract some of its dissolved salts. Celtejo currently has three distinct technologies undergoing testing: Reverse Osmosis (RO), Reverse Electrodialysis (RED) and Ozonization. All the processes tested have a significant impact on the colour of the effluent as a result of the retention or oxidisation of the residual organic content of the permeate upon leaving the WWTP. RO and RED further act upon the dissolved salts, thereby generating discarded matter which is rich in salts, as well as clarified permeate. Ozonization is clearly the simplest technology, with ozone produced locally and injected directly into the current to be treated. It is an efficient technology, as illustrated in picture no. 1, but it is energy-intensive, and in the case of Celtejo this energy comes from renewable sources. It does not require regeneration chemicals to be added, and may also contribute towards reducing the addition of coagulants and flocculants during the main process. Membrane technologies, as in photo no. 2, also reduce colour, but act upon reducing salt, meaning that they are technologies to be considered in recovering treated effluent for the process. Lavoisier’s Law of Conservation of Mass nevertheless obliges us to find an environmentally-acceptable solution for the discarded material produced at this plant. Recovering effluent for the process reduces the need to take water from the river, with the energy costs that entails, and results in lower rates payable to the Portuguese government. It does, however, add an operating cost which may be significant and which must be incorporated into the overall cost of the product, thereby decreasing Celtejo’s competitiveness on the international market, against rivals which are not faced with such strict requirements. According to Carlos Coelho, the director of Celtejo, this is “a decisive step given the flow restrictions imposed on the company, to enable us to achieve production levels which will ensure the business continues going forward, until such time as objective data can be measured – leaving no room for doubt amongst the wider community – regarding Celtejo’s actual impact on its surroundings”. 1. Which technologies have the greatest potential? 2. What alterations have to be made to these technologies to achieve good efficiency in treating the factory’s effluent? 3. What are the estimated CAPEX and OPEX for each of these technological solutions with the greatest potential?